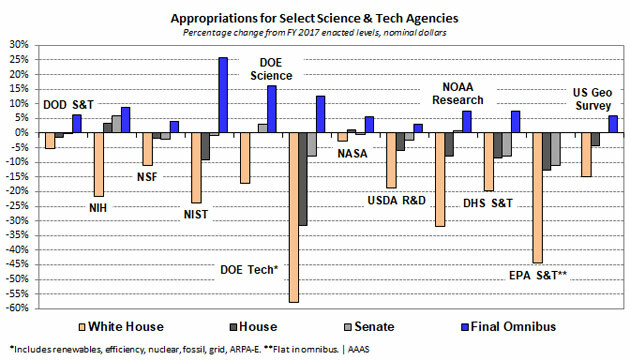 A year after the administration proposed cuts to research and education accounts that were called “draconian,” “devastating” and “short-sighted,” Congress passed a bipartisan $1.29 trillion spending bill for the current fiscal year that includes some of the largest increases in research and education accounts in nearly a decade. $1.13 billion for Federal Work-Study, a $140 million (14 percent) increase over FY 17. The final spending package also prohibits the administration from implementing its proposed cap on indirect cost reimbursements to universities, something Vanderbilt advocated strongly against. Tennessee Reps. Phil Roe, Jim Cooper and David Kustoff joined Tennessee appropriator Rep. Chuck Fleischmann in voting for the spending package, which will fund the government through the end of September. “We appreciate their commitment to science and engineering research and education, and look forward to working with them and others to sustain these tremendous commitments,” Zeppos said after the vote. Since the administration released its budget proposal last year, Vanderbilt has joined with its peers in forcefully pushing back against the proposed cuts to research and education and instead advocating for robust funding for science and engineering research and education. 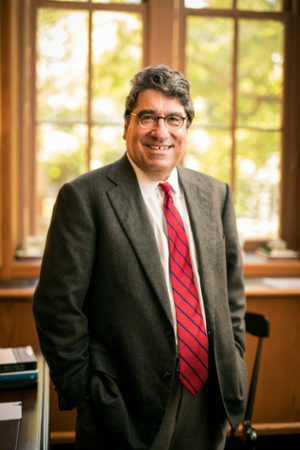 Vanderbilt’s Washington, D.C.-based Office of Federal Relations has spearheaded those efforts, which included multiple letters to congressional leaders, meetings with federal policymakers, social media and op-eds. The office works closely with individuals on campus to help further Vanderbilt’s federal policy priorities.